In Dr. Carney's Starch-Smart® System seminars, written questions from participants are collected beforehand, protecting their privacy. 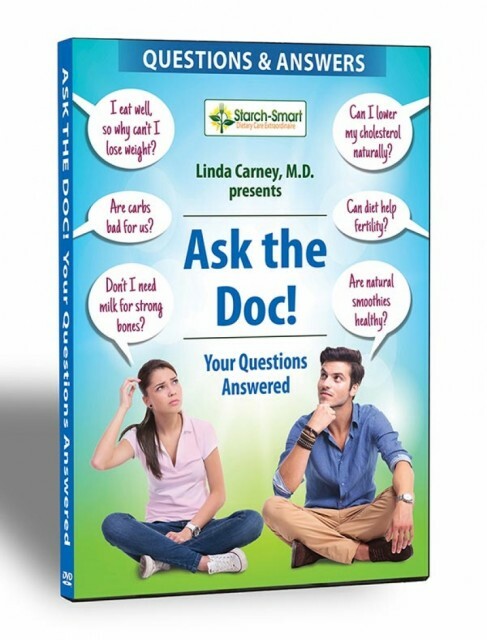 In this informative video presentation, Dr. Carney shares the answer to many of those frequently asked questions - with complex scientific evidence made easy to understand. Learn the answers to what you've always wanted to ask, and so much more! I was diagnosed with interstitial cystitis in 2013 after a thorough workup. I still have symptoms after extensive medical treatments, including hyperbaric O2 therapy, acupuncture, and essential oils treatments. Do you have experience in treating this condition? If so, what has been your success? Yes, Dr. Carney has experience is treating Interstitial Cystitis. It is not something that she can do in a public forum though because she would need to ask questions of you and receive answers which would not be HIPPA compliant (your privacy could be compromised) on a public web site. You are welcome to call our office if you are in Texas or traveling to Texas. She needs to see her patients in person in Texas in order to order tests, diagnose disease and provide treatment plans, including prescriptions. However, if you are not able to come in person and do not need her assistance as your medical doctor then you are most welcome to arrange a Food Coaching session with her. These are available on our other web site located at https://www.veggievore.com/advice and have been a great help to many people. She can then discuss food and other lifestyle measures and you would keep your current local physician to assist you with your medical needs. I hope that you can take advantage of one or the other of these options.